On Friday, the Central Philadelphia Development Corporation released a JFK Boulevard & West Market Street Transportation Survey. For years, the Bicycle Coalition of Greater Philadelphia has been calling for the taming of JFK and Market Street. We made it a Mayoral primary issue, we called for action before the DNC, and did the homework to show that the two road ways are wider than I-95. There is building consensus among many that everyone who uses JFK and Market would greatly benefit by taking specific steps to make both streets safe for all users. As you may remember, back in June 2017, following the tragic death of Peter Javsicas by a motorist, we conducted an intercept survey on the sidewalks of JFK and Market Streets to see what people who work, live, or travel through the area think about these streets. Our survey results showed that a vast majority of individuals support the traffic calming measures which have long been proposed for these streets. More recently, our Park(ing) Day parklet on the 1800 Block of JFK Boulevard gave us the opportunity to discuss these traffic calming measures; once again we heard overwhelming support for changes to make these streets safer. 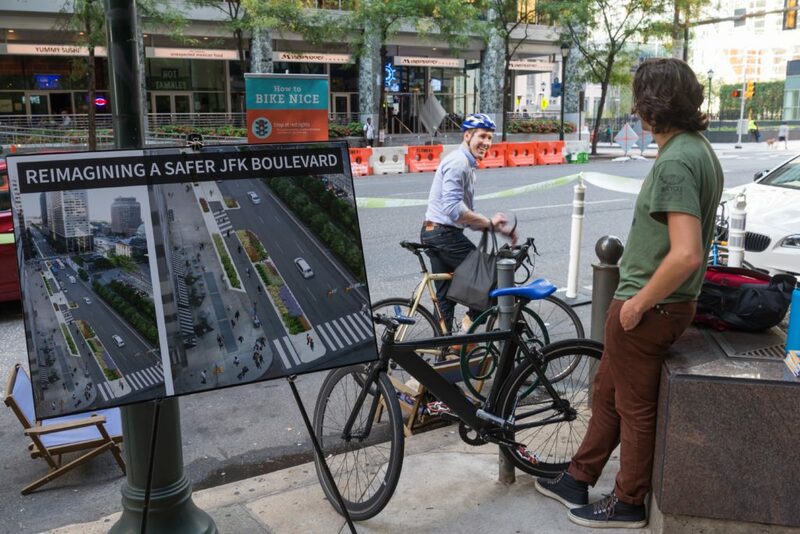 As the City works on making JFK and Market Streets safer, this new online survey is an important opportunity to make your voice heard once again. If you work, live, or travel through Center City, share your experiences along these streets; it is critical that the Kenney Administration and City Council members understand the depth of support for measures to make JFK and Market Streets safe for all users. The survey can be accessed here until October 20th at midnight.